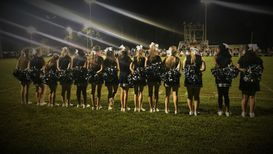 THE FREEDOM CHEERLEADERS ARE A BIG PART OF THE COWBOYS PROGRAM! CONTACT COACH TUCKER TO FIND OUT ABOUT BEING PART OF THIS FUN SQUAD! 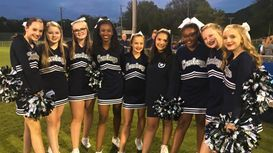 The Cowboys Cheer squad offers a team for girls 14 to 18 (as of August of the current season) to cheer for the Cowboys Football team. 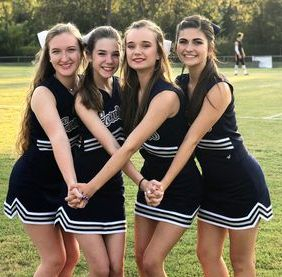 The Spring cheer season is a great time to get to know each other, learn cheers, and prepare for the upcoming Fall season. We practice on Mondays, Tuesdays, and Thursdays at the Cowboys practice field on Research Drive in Huntsville. Our hard work is obvious as we cheer on the sidelines in support of our Cowboys! No prior cheering experience is required. We have some girls who love to tumble, and some girls do not tumble at all. There are no try-outs for the Cowboys Cheer Squad.